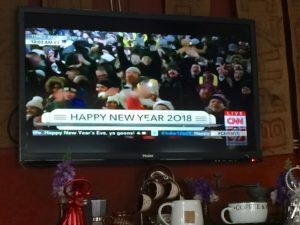 Happy New Year – How Resolved Am I? It’s new years day here in Kathmandu. I’m sitting in a coffee shop in Sanepa (a small neighborhood close to my home in Chobhar). 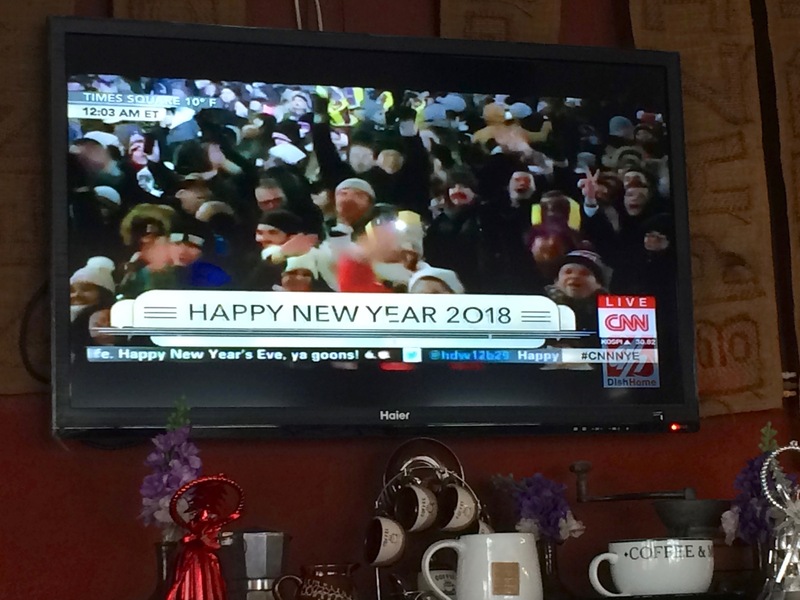 The TV in the shop is showing CNNs coverage of the countdown for New Years in New York City. The music playing is still Christmas music the Messiah. Interesting how cultures mix and adopt one another’s ways. I had a hot shower this morning; one of the best and longest I’ve had since coming to Nepal. Nothing like a large shower head and an “endless” flow of hot water. I resisted turning it off and stepping back into my cold room, but I managed to bring up my courage and move on into the new year. The room cost me 37 USDollars, not a bad deal for a hot shower, wireless and a good restaurant. While the breakfast wasn’t included in the price it was worth the extra 6.00. It was a breakfast that would please any American; hash browns, poached egg, bacon, and a excellent croissant. I had the added treat of talking to my mom via Facetime as I ate. Standing on the edge of a new year I can’t resist thinking about resolutions and what they mean to me. I’ve gone in and out of making resolutions. I’ve never been inclined to make immediate changes in my habits. I’m more inclined to move slowly and incrementally toward my goals. My meditation practice started in 15 minute installments. I made a point to sit in the morning, right after waking so I wouldn’t get swept up in the momentum of the day. Since that time I’ve often heard meditation teachers to recommend 5 minute meditation sessions, frequently throughout the day. The idea is to get a practice (any practice) started rather than having grand plans for 10 hour meditation practices. Moving forward, getting started, becoming familiar is the point. Interesting bit of trivia, the Tibetan word for meditation is “Gom” meaning “becoming familiar with”. We can become familiar with a new way of being in a gentle manner. Of course incremental change may not be realistic when your resolution is to stop smoking, drinking alcohol or the like. Some habits require complete abstinence in order to be resolved. 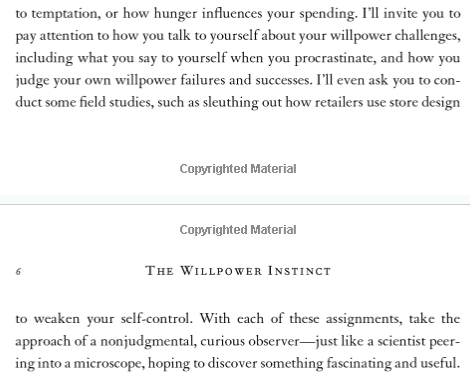 Whether we approach our habits with a vengeance or with gentle interruption, self awareness is key. My conclusion is based on my professional and personal experience. While it seems like a lifetime ago, I used to be in the business of helping children change their behavior. One of the most critical components of success (right behind having a decent relationship with the child) was helping them gain awareness of what they were doing. This included helping them recognize the triggers that led to trouble. While you may be skeptical about a child’s ability to achieve such awareness, it worked in most cases (with the kind support of their teachers). The exception of course were children with severe disabilities, lack of attachment, or an ingrained opposition to adults but these represent a small percentage. The point I am making is that awareness, either self guided or mentored is the first step to changing our behavior. So… my advice (it’s free) is that our resolutions begin with observation. You don’t have to be a psychologist or teacher. Simple and honest observations of our habits will bring insight and naturally give us strategies for change. I would wager that until you take time to stand back and watch, you may frustrate your plans for change. For what it’s worth, there is a well known author, Kelly McGonigal, who agrees with me. 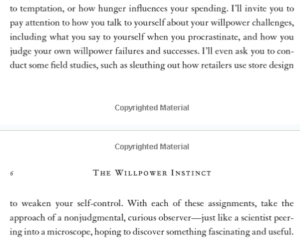 She has written, “The Willpower Instinct: How Self-Control Works…” . Her book is a great resource for anyone who really wants to understand a habit and make friends with change. Happy New Year Everyone. I hope 2018 brings you health, happiness and time with good friends and family. Be good to yourself.